This week, I am flattered to report, my local paper ran a lovely profile story about me and my new Fracking Pennsylvania photography project. The area seems to be teeming with artists of all types. I was overwhelmed by responses after asking friends (via Facebook) for suggestions of artists to feature. One of the suggestions was Oneonta-based professional photographer Michael Forster Rothbart, who I’d met but hadn’t seen his work (or his impressive resume) until this week. 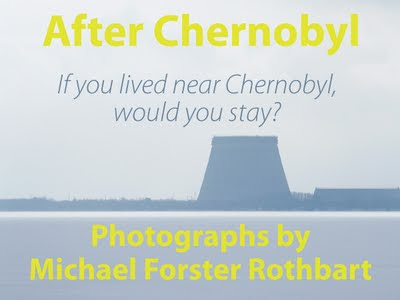 Not only is he a nice guy, he’s a talented photographer and artist, and he’s newly back from a yearlong Fulbright Fellowship to work on his “After Chernobyl,” an independent documentary photography project about Chernobyl survivors in Ukraine. 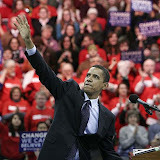 His photos have appeared in the New York Times, Newsday, Psychology Today and the Washington Post, to name a few. Forster Rothbart shared some of the photos from his “Fracking Pennsylvania” project on the hydraulic fracturing situation in Northern Pennsylvania and upstate New York. His photos, along with their stories, are captivating. 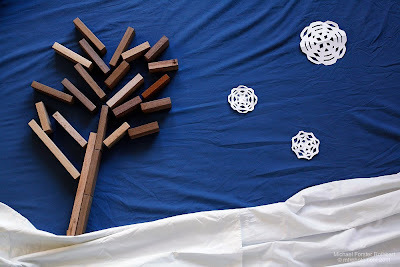 My son Jacob and I built and photographed this winter scene together. Jacob, who is already 4 1/2, says he wants to be a photographer when he grows up. Or a fire dog. Or a T-rex. 2010 has been a wonderful year for us, and we hope it was great for you as well. In the coming year, I hope our lives (yours and ours) are full of activities and people that bring us joy and happiness. May our days be free from worry and our nights free from fear. It may sound cheesy but I mean it. Happy new year!